Custom postcard printing is an art of its own. To produce the best possible postcards for your business, you have to take the creation stages of the print product into consideration. 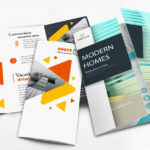 It’s not just the design and copy that determine how effective custom postcards are when handed out; it also has to do with the quality of the material, the process used to print out the product, and the little details, most of which will be discussed below, that make up the overall appearance of your postcards. Before proceeding with your custom postcard printing, here are some questions you need to ask before jumping into the printing fire. 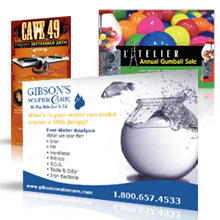 Why should I use custom postcard printing to promote my business? Postcards are ideal for your direct mail marketing – collect the addresses of recipients, segregate each according to their age, gender, interests, and other pertinent information (if possible), and send out highly targeted messages to each based off the information you’ve amassed. We at PrintRunner take your mailing campaign seriously, which is why we are offering postcard mailing services in which we will send out the postcards you’ve printed from us to your mailing list instead of doing the mailing yourself. This saves you time and effort to focus on other priorities you need to do for your business. Click here for more information. Also, unlike invitations, custom postcards are not folded or placed inside an envelope, making them much more efficient marketing tools for keeping and sending out. The front side of the postcard is reserved for the visual ad about your product or service while the divided back portion allows you to write down the respective addresses of the recipients. 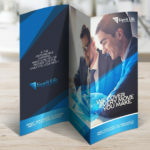 Can I use my custom postcards outside direct mail? Absolutely! 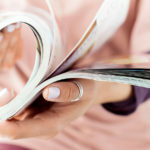 Placing them at point-of-purchase using a table rack or displaying them at places with high foot traffic allows you to maximize their exposure so customers and passersby can take a copy with them to read. With an optimized custom postcard design that matches your branding efforts, you can persuade people from trying out your products and services. Is the divided back design of custom postcards necessary? It would be if you are to send the postcards out to your list. However, if you plan to use the back portion of the postcard to place additional information about your business, then you’d have to come up with creative ways on how to include them there since the divided back part is a fixed featured of postcards. How will the colors be used on my custom postcards? You are allowed to select from 4/0, 4/4, or 4/1 for your postcards from your printing store of choice. These are industry terms to describe the number of colors for your print product using a CMYK printer, which is comprised of cyan, magenta, yellow, and key (black). 4/0 means that all four colors will be used for printing the front of the postcard, while the back won’t be printed (as indicated by the 0). 4/1 similar to 4/0, expect that the back would be printed using black. 4/4 lets your postcards to be printed using all colors on both sides. Which color choice should I select? It depends on how your custom postcards are designed. If you have yet to design your postcard, make sure that you appropriate your design according to your business. On one hand, a small ad agency and a retail store would need fancy 4/4 postcards to attract clients. On the other, businesses that tread the minimalist approach could do away with any design on the back of the postcard. What kind of paper and coating works best with custom postcards? The adage “when the going gets tough, the tough gets going” applies to custom postcard printing. 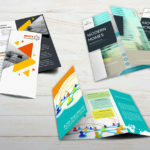 Since they have no protective sleeve like an invitation, making them much more prone to creases, postcards made from a thick paper stock and waterproof coating help you promote your business much more sturdily and efficiently. A 14 pt. stock makes for a postcard that is more resistant to creasing, while a UV coating gives your print product a glossier and shinier appearance. Unlike UV coating, matte coating allows for a smooth surface and a glare-free background, although it makes your custom postcards prone to scuffing. Do rounded corners matter on your postcards? Changing the corners of your postcards may help improve their appearance, thus making your business stand out from the rest. However, be aware that it won’t promise you additional sales and revenue. Ultimately, postcards with rounded corners can make a different, but if printed with a below-average design, they won’t be as effective as intended. Now that we’ve gotten the important questions about custom postcard printing out of the way, it’s time to actually place your order and use your postcards to market your business. Click here to order postcards from PrintRunner. 2 Comments on "7 Burning Questions About Custom Postcard Printing"
Using postcards outside of "direct mail," as you said, seems to be a big question people have about using postcards. Nice article, thanks for sharing.